To help thehumblepenny stay free to use, this post may contain affiliate links. See our disclosure. For our Video Courses, see Financial Joy Academy. PERSPECTIVES: Do You Need More Mental Bandwidth? We are continuing the series called PERSPECTIVES with a focus is on gathering real-life thoughts on the realities of money. This series is aimed at offering deep insight whilst also inspiring and encouraging our readers to get better with money. Sara Williams from the popular Debt Camel contributes to this series from her perspective as a debt adviser. Do you need more mental bandwidth? So I love money blogs like this one because their readers are much less likely to need my help! 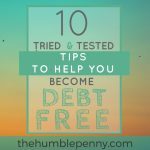 But if you are finding it more difficult than you had hoped to pay off that debt that mounted up a few years ago, you might find it interesting to stop and think why… because that may help you manage better. In computing, bandwidth is the amount of information that can be transferred per second. The concept of mental bandwidth is a really useful one – it says that there is a maximum amount of attention and focus you can give to things. People naturally tend to prioritise immediate problems over more distant ones. 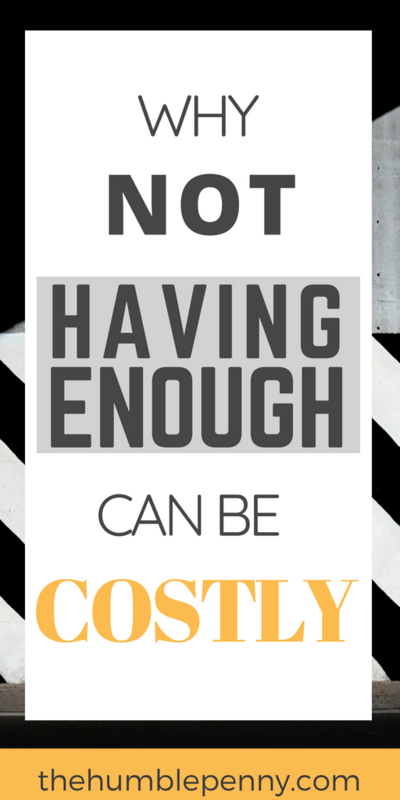 If there isn’t enough money to pay for your car to be repaired or to get new shoes for the kids, those issues can’t be ignored. After a hard day at work and feeding the family and getting the little ones to bed, it’s very easy to decide that can wait until the weekend or next month. Are you too short of mental bandwidth to make good decisions? I do a lot of work with people trying to get refunds of interest from payday lenders because the lenders didn’t make the correct affordability checks. Most people on the forum kick themselves for being so stupid, thinking it should have been obvious that they couldn’t repay that loan. So they would have to keep borrowing more and paying more interest every month. But an economics professor from Harvard and a psychology professor from Princeton have written a book on this called Scarcity: Why having too little means so much. This looks at how having too little of something causes everyone to make similar bad decisions. Money is probably what comes to your mind, but it also applies to things like time if you have too heavy a workload. One of the groups was given less of an important resource, weapons in a battle game or time in a strategy game. The group who didn’t have enough all tended to focus on the immediate needs. They made choices that let them survive but which would prove very expensive just a few minutes later. Switch the players between the groups and their decision making changed. These weren’t people who were just bad at thinking things through, they were kids at a top university, no-one could call them stupid. It was the scarcity of the resource that forced the short-term focus. This is exactly what leads to people getting caught in a debt trap. My readers who had too many payday loans weren’t stupid, they had just got entangled in a situation it was hard to escape from. How Can Knowing This Help You? You can’t increase your mental bandwidth, so the question is how to use it better. 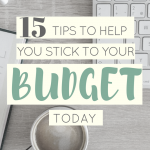 try to pay as many of your fixed expenses as soon as possible after payday, so there is less chance of running out of money before they need to be paid. Create good money habits and decide in advance what your top priority debt is to tackle. So if you have any spare money you know where it should go without thinking about it. Is money just disappearing one of your problems, when there ought to be plenty? Get into the habit of overpaying a credit card whenever you decide not to buy something. Say no to that top or that takeaway and reward yourself immediately by paying £15 to a credit card. If you wait until the end of the month, there will be less money left than you expect! This applies to savings as well as expenses. “Pay yourself first” by setting up a standing order to a savings account the day you get paid so you don’t have to try to remember to have that much money left at the end of the month. All these things individually are small, but freeing up a bit of headspace can put you back in control! But, above all, make getting an emergency fund a top priority – it is the best safeguard against being forced to borrow money for the unexpected. And it’s especially important if your income is erratic. READER CASE STUDY: Pay Off Large Debts Or Invest? What impact has Scarcity had on your life or your decision making? Please comment below. Do please share this post if you found it useful, and remember, in all things be thankful and Seek Joy. P.S. Do visit our new online school at Financial Joy Academy, where we have direct learning video courses such as FIRE SuperPower™. 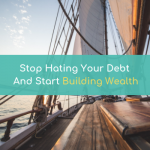 This FREE course will show You How to Make Money, Invest for Your Future, Save & Budget better, Generate Cash flow, Work out & Grow Your Net Worth, Manage Debt and work towards Your Financial Independence! Start Today and Change Your World! Be Fearless!! Brilliant!! Please check your email now to confirm your subscription ;) Enjoy your course and feel free to reach out to me anytime! 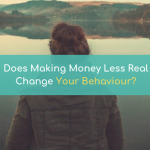 Does Making Money Less Real Change Your Behaviour? A scarcity of resources compels short-term thinking…this makes sense. For us, automating our investing has been of the most important steps we have taken towards reaching our financial goals. No need to (re)make the decision now and again…set it up and forget. The fact that we have paid ourselves first sets up a chain of events that compel us to spend within what we have left. I appreciate you stopping by. Living within what’s left is so important. A really good order of events. My name is Ken Okoroafor and I am the Founder of THE HUMBLE PENNY®. Learning how to Master Money has Transformed my life since my days as a teenage Student and Immigrant. 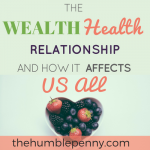 It enabled me to become Financially Independent aged 34! Today we live purposefully to help others Create Financial Joy and achieve Financial Independence in their lives too. Want To Achieve Financial Independence? The Humble Penny® does not offer financial advice and is intended for educational and reference purposes only. Use of this site is entirely at your own risk. You should always carry out your own research and take specific professional advice.